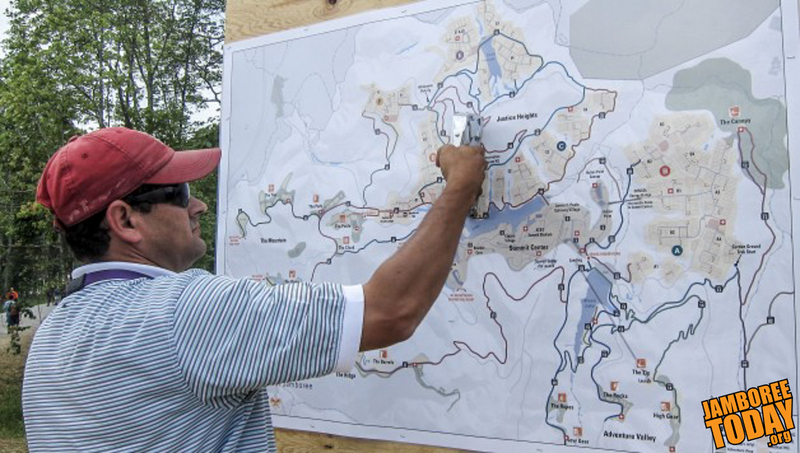 New and more finely detailed recreational trail maps for the Bechtel Summit Reserve are being posted around the site. Here, Rob Seiter, program manager for TrinityWorks and maintenance volunteer, staples laminated maps to a signboard in Base Camp D. Information booths at Summit Center are also receiving the updated maps. 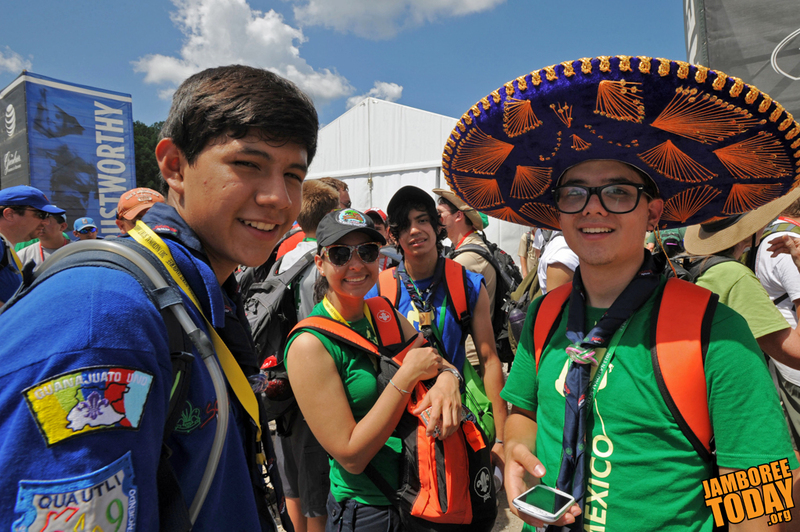 Photo by Axel Anderson. 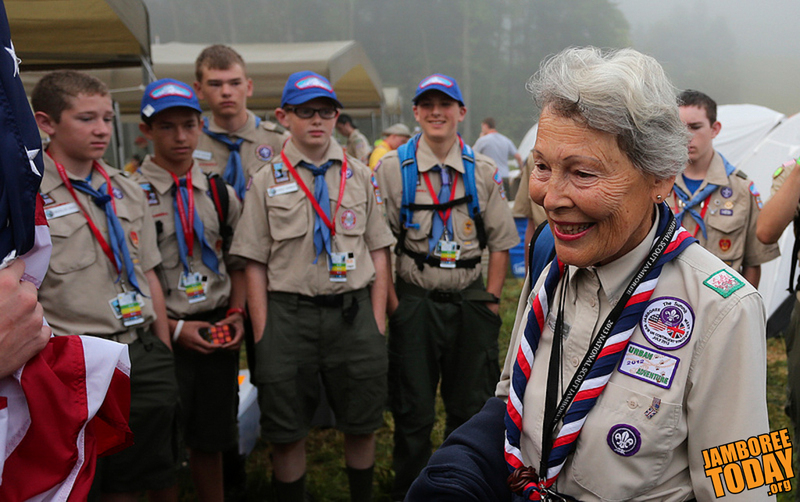 Gill Clay, center, granddaughter of Lord Robert Baden-Powell, founder of the Scouting movement, drops in for breakfast with Scouts from Chief Seattle Council's Troop D108 at the 2013 National Scout Jamboree. BSA photo by Tom Copeland. 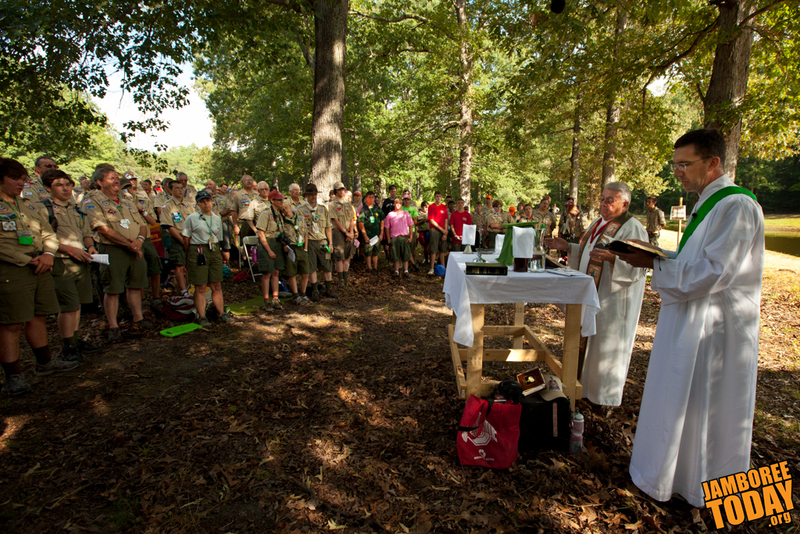 The schedule for religious services at the 2013 National Scout Jamboree has been announced for services occurring July 19-21. 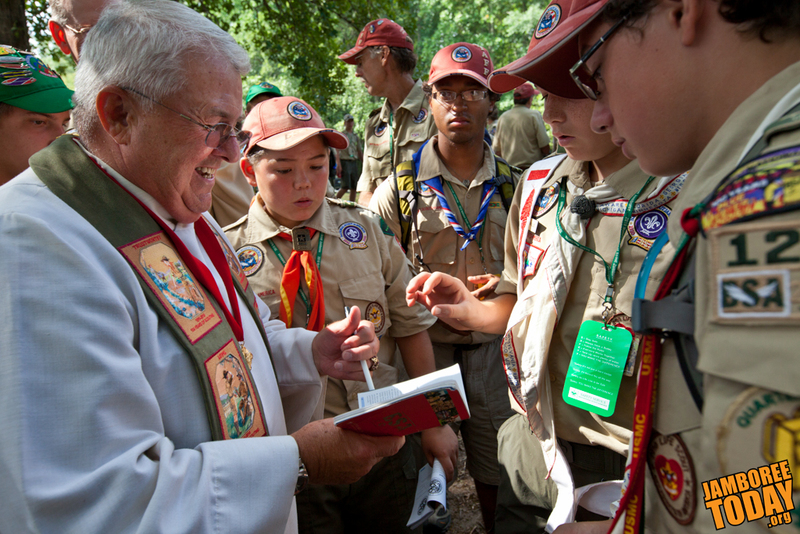 A number of special faith-based events are scheduled for the 2013 National Scout Jamboree. These events are open to all and everyone is invited to investigate and participate in them.